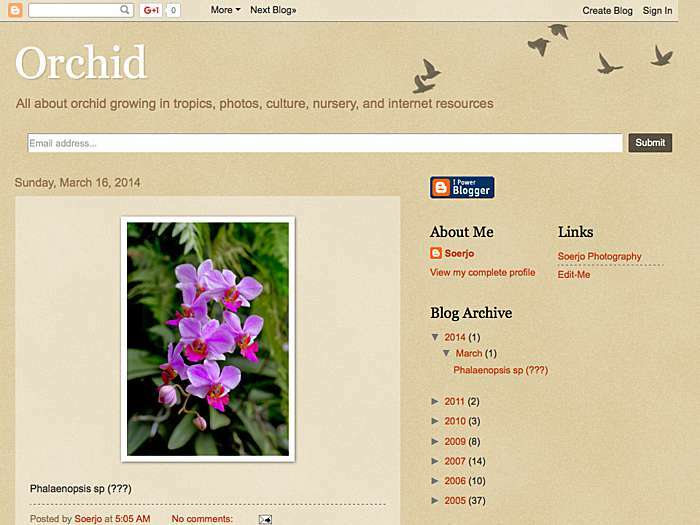 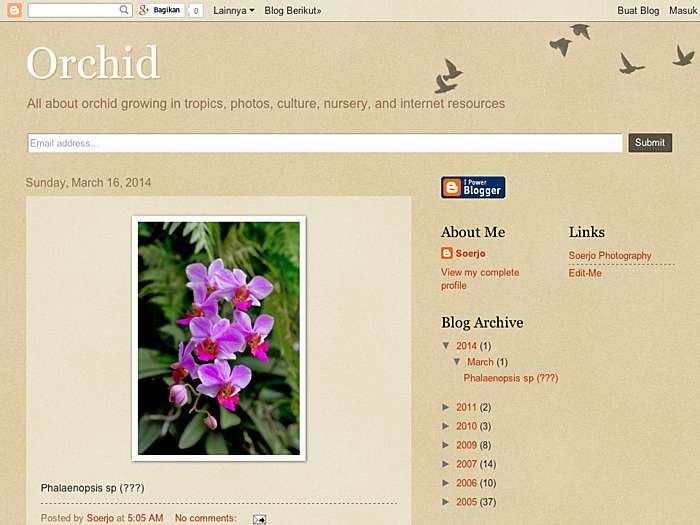 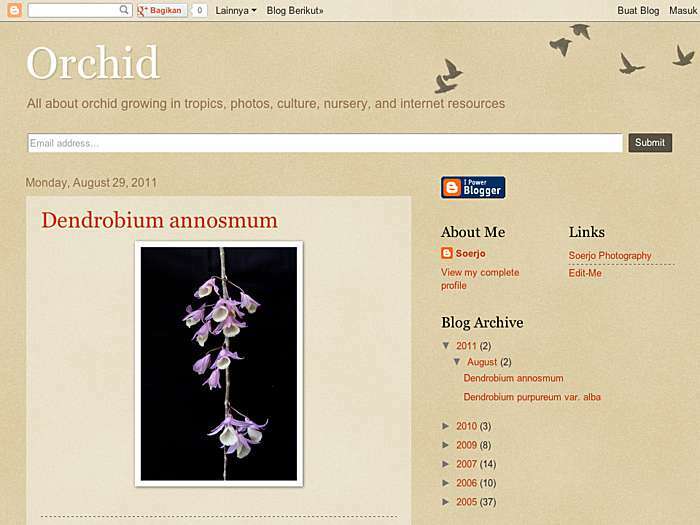 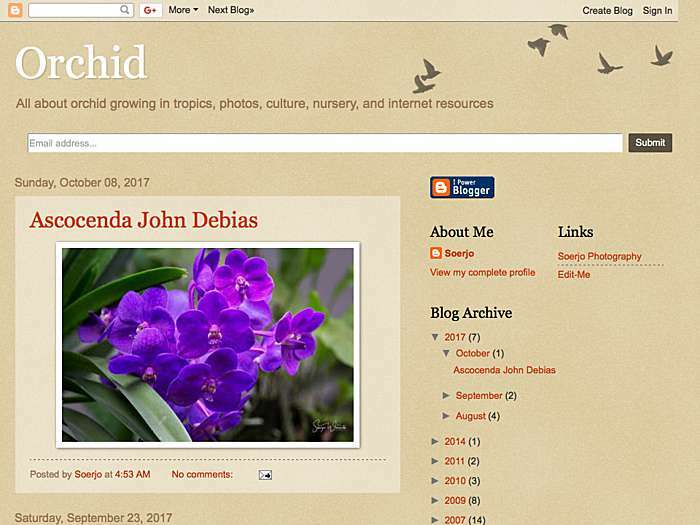 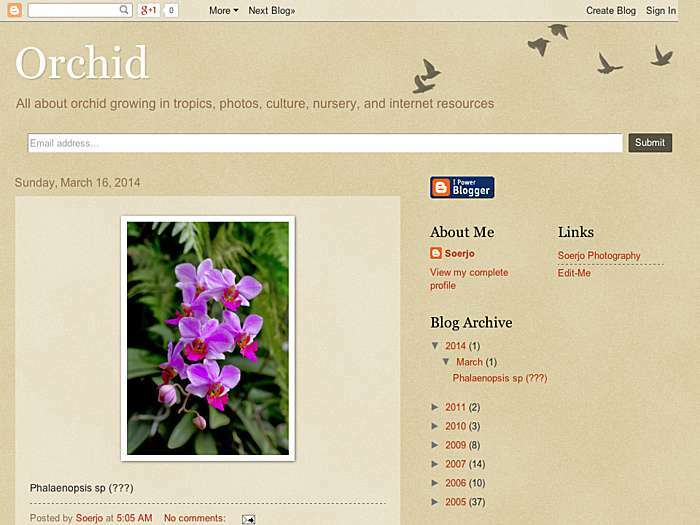 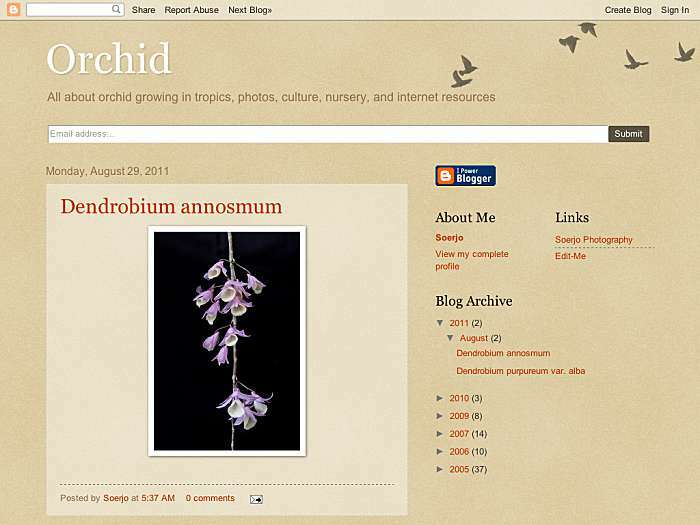 Blog covering a variety of orchid topics including growing in the tropics, photos, culture, nursery, and Internet resources. 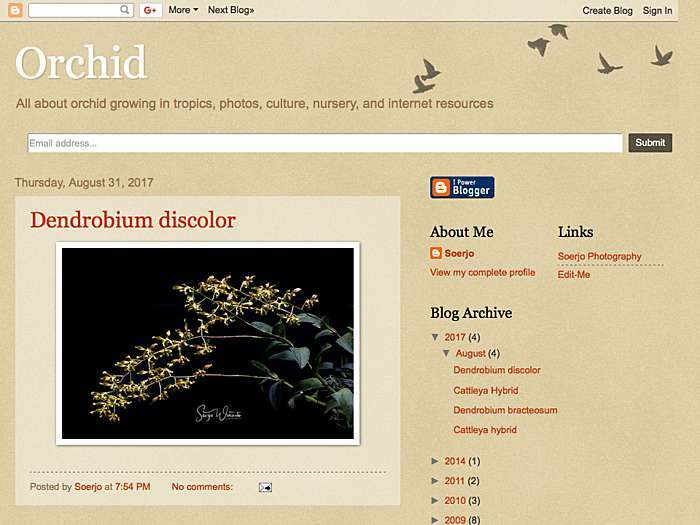 Soerjo Winarto. 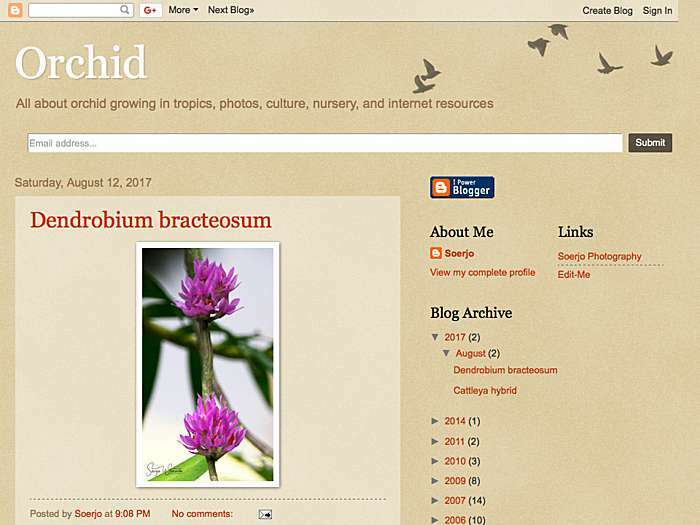 Cileungsi, West Java, Indonesia.